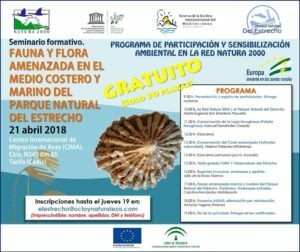 Next SATURDAY, APRIL 21st, you have the opportunity to get to know our nearest environment better by the hand of great professionals working in the marine field. FAUNA AND FLORA THREATENED IN THE COASTAL AND MARINE ENVIRONMENT OF THE NATURAL PARK OF THE STRAIT. “It will be held at the International Bird Migration Center (CIMA), N340 Km 85 in Tarifa (Cádiz). 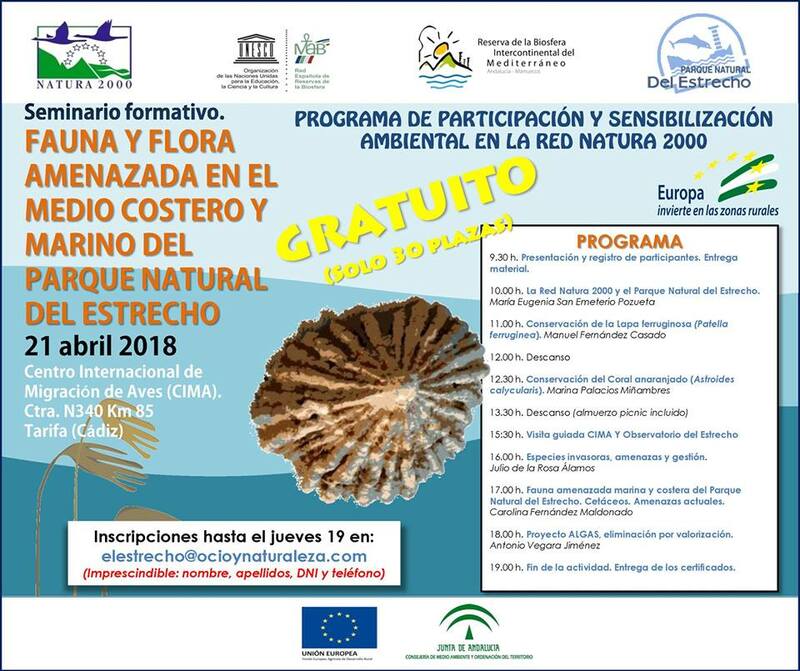 It is a TOTALLY FREE action of the ENVIRONMENTAL PARTICIPATION AND SENSITIZATION PROGRAM ON THE NATURA 2000 NETWORK (including picnic lunch). before Friday, April 20, sending: name, surname, ID number and phone number.